Are you tired of repeating the same cycle? Do you feel like what you do is never good enough? Are negative feelings robbing your life of joy? Do you sometimes feel that you can't find the light at the end of the tunnel? Click here for a sample of Breaking the Cycle. 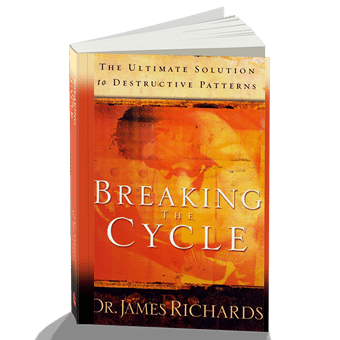 Breaking THE Cycle The Ultimate Solution to Destructive Patterns Are you tired of repeating the same cycle? Do you feel like what you do is never good enough? Are negative feelings robbing your life of joy? Do you sometimes feel that you can’t find the light at the end of the tunnel? Do you want to be in control and predict your own future? Are you ready for the roller coaster to end and the good life to begin? Millions of people have these same feelings. You are not alone. But you can end your repeated struggles and break out of destructive cycles. Put an end to the frustration and begin to live your dreams. Everyone wants to enjoy a good life-a life of peace and happiness void of chaos! However, the sense of lack drives us into our never ending cycles…Two steps forward, one step back. Up and down, In and Out. Mountain peak to valley. Like a hamster in a wheel, it never ends! It’s time to get of the wheel. 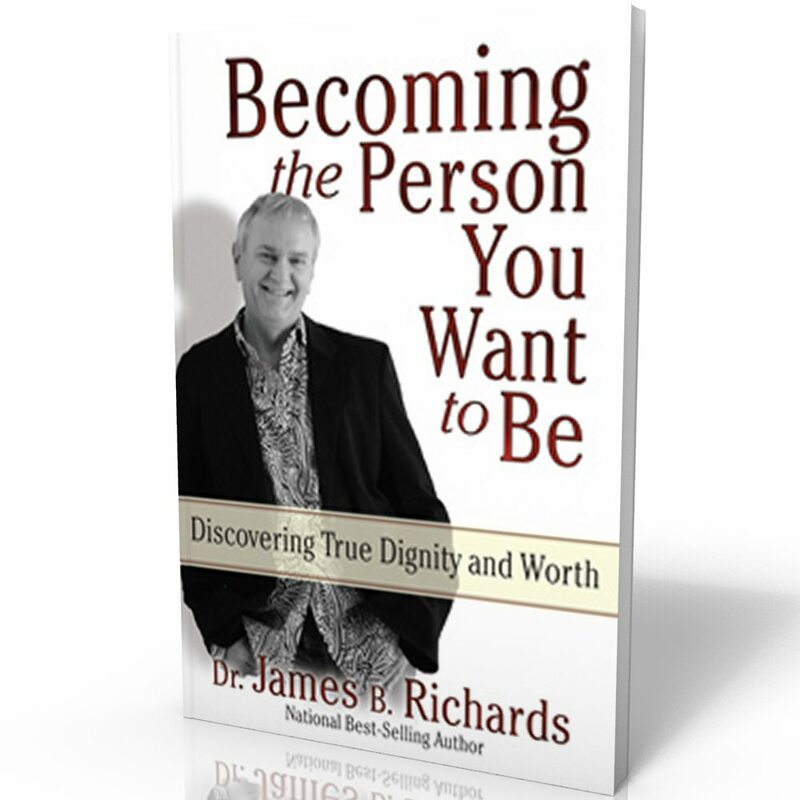 This incredible book by Dr. Jim Richards will give you the tools to face life with a new confidence. 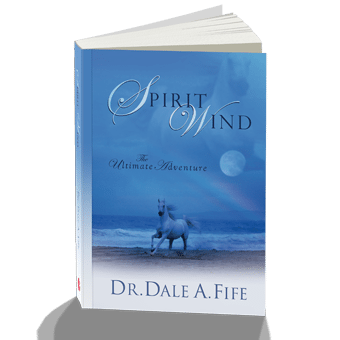 On each page you will find new keys to personal empowerment. You will transform your self-worth. You will disconnect from the feelings of lack and inadequacy. Your life will become a constant process from good to great! Discover the life-changing secrets of personal empowerment that have brought transformation to millions of people around the world. Breaking the Cycle provides the keys. 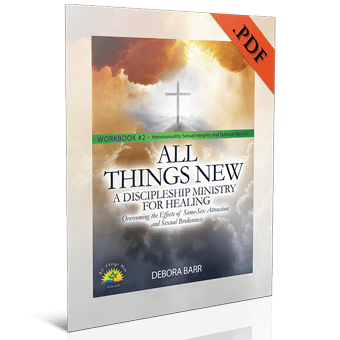 You can end your destructive patterns today! Awesome! Great book for anyone wanting to know their true identity in Jesus Christ! Deepening your relationship with him and to continue to grow in the love of Jesus Christ! But you must take what you learn and begin to meditate on it day and night so that it will fully sink into your mind, body, soul and heart. Religious teachings will crumble under the insightful truth of righteousness presented in this book. A clear explanation of righteousness by faith not by works. God used every word in this book to speak to my entire being as I now am. Going forward I have learned what I need to change my heart, my life, my relationship with Jesus, my lord and Savior. This book breaks down in simplistic verbage the simple solution to breaking any cycle…understanding who we are in Christ. Jim portrays the believer’s position as one of authority, but not something to attain, vs having already attained. His unique way of expressing why we don’t believe in the position Christ has brought us to, allows an easily understood way to do an ‘about face’ . heightens our awareness of false messages which affect our lives. This book was full of eye opening revelation from the very beginning to the very end! It is all scriptural and given in the right context. Tt was also very easy to understand and hard to put down once I started reading. It really helped me to understand the importance of knowing and believing who I am in Christ and that because of His finished work, I am the righteousness of God! Again, another must read for believers who really want to walk in all that God has already provided to us through His son, Jesus Christ. I can’t begin to say how wonderfully motivating and encouraging this book is. By showing you how to trust in the righteousness Christ purchased for us at the cross and not in our own limited, flawed efforts at being righteous we can live in a new plane of peace, joy and confidence -in God! My copy is marked up and underlined and I will be referring back to it often to remind myself of who I truly am in Christ and that He is more than enough! Dr.Richards has the gift of cutting through all the jungle of a lifetime’s accumulation of mental and emotional garbage and going to the root of the problem.Once it is diagnosed and acknowledged,one is empowered to begin working on changing thought patterns that affect emotions,making freedom possible.Dr.Richards gives insight as to how. Very pleased, happy with the service and the read. Is a keeper and one that I will reread over and over again. I started writing page numbers on the fly leaf of the book so I would remember where to find memorable ideas, but I soon discovered I was writing every page number! This book is filled with amazing insights into the Christian life. I highly recommend it for everyone who has ever struggled with their walk with God.